Rachana Gandhi Associate Professor, Department of Anaesthesiology, GMERS Medical College & Civil Hospital, Sola, Ahmedabad, Gujarat, India. Alka Shah Associate Professor, Department of Anaesthesiology, GMERS Medical College & Civil Hospital, Sola, Ahmedabad, Gujarat, India. Background: Post spinal headache is a common complication after spinal anaesthesia, lumbar puncture and myelography. The aim of study is to calculate the incidence of post dural puncture headache in non-obstetric patients coming to the GMERS Medical College and civil hospital, sola, Ahmedabad. 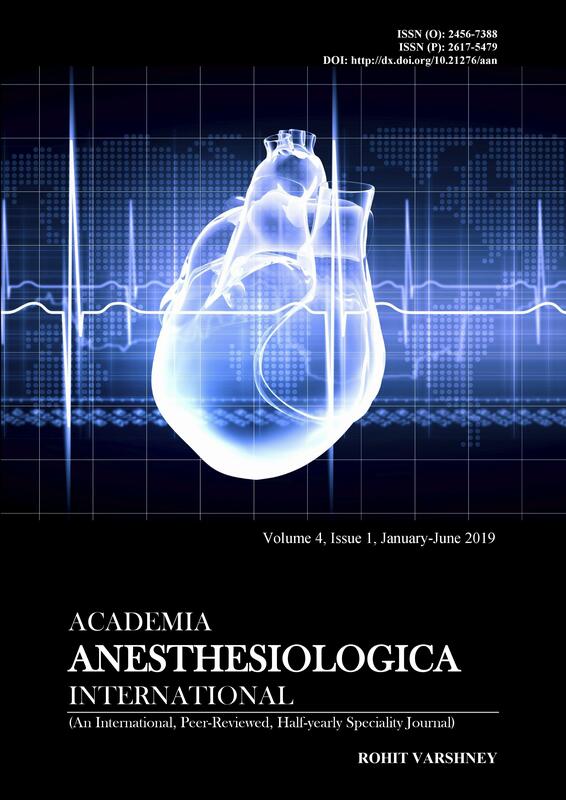 Subjects and Methods: A prospective observational study was conducted on 150 patients of ASA grade I and II admitted in the department of general surgery, orthopedic and gynecology under spinal anaesthesia. All patients were interviewed after 12 hours, 24 hours, 36 hour, 48 hours, 60 hours and 72 hours as regard to headache, its severity, location character, duration, associated symptoms like nausea, vomiting, auditory and ocular symptoms. PDPH was treated initially conservatively with bed rest, hydration and analgesic (injection diclofenac 75 mg). If the PDPH persisted longer than 24 hour with same severity, and epidural blood patch was considered before discharged from hospital. Results & Conclusion: The overall incidence of PDPH in Civil Hospital, Sola, and Ahmedabad was 8.06%. The incidence of PDPH in young patients was 12.12% and in old patients were 3.44%. The incidence of PDPH in female was 12.5% and in male was 4.08%. Thus female significantly have more risk of developing PDPH. The onset o PDPH after dural puncture among the patients who develop PDPH occurred within 24 hours in 33.3%, within 30 hours in 40% and within 36 hours in 26.6% of patients. PDPH was most commonly located in occipital region in 60% of patients. Severity of PDPH was mild to moderate. In 73.3% of patients the maximum severity was grade II. Nausea and vomiting was associated with severe PDPH. No patients develop any other associated symptoms.